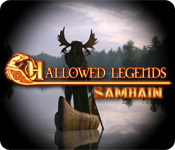 Hallowed Legends: Samhain is rated 4.0 out of 5 by 70. 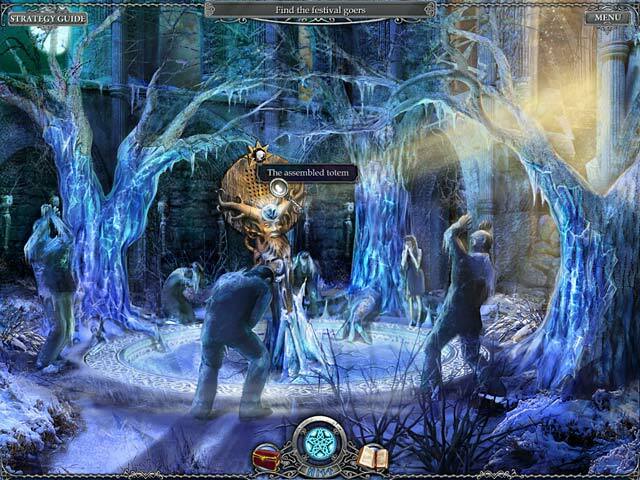 Rated 5 out of 5 by pennmom36 from Hallowed Legends: Samhain SE I had forgotten just how amazing this game was. The graphics are really good, especially when you take into consideration how old this game is (2011) and they just don't make Hidden Object Puzzles like they did in Samhain. Even though this is a Standard Edition, there are still 18 Achievements to earn, the only downfall this game has is that there are only two modes of difficulty, Casual and Advanced. The word Samhain means November in Irish and in the Celtics culture, it refers to the third autumn month. During Samhain, the borders between worlds becomes thinner, the passages are revealed the hills open and all the supernatural rush out, ready to devour the human world. Robert quit his job as an investigative journalist and became obsessed with Celtic mythology conspiracies. You drop everything and head for the Celtic Festival at the All Saints Chapel after receiving a disturbing call from Robert who's apparently gotten himself in a bit of trouble. When you arrive, you see a long line of people, including Robert, heading toward the chapel at the top of the hill. Even though you were only a few minutes behind them, everyone has disappeared, with the exception of a man who appears to be dead, slumped over the trail! The Hidden Object Scenes are so well done, they are all simple Listed items, and those items are in plain view, but they have done such an exceptional job of placing the items within other objects that many of the items are tough to find. My favorite HOP requires you to first find a net and then use that net to scoop out the objects at the bottom of a crystal clear pond. The Mini Games are really entertaining. Below are brief descriptions of some of the games you'll encounter during the demo: 1) Swap tile pieces to restore the image, right click to rotate pieces. 2) Put symbols in the right order from biggest to smallest using mathematical clues shown. 3) Connect pipe sections to allow the water to flow from top to bottom. 4) Arrange the tokens so that all the beams turn yellow, only one prism per beam. The Collector's Edition has 18 Achievements, Concept Art, Screensavers, wallpapers, a built in Strategy Guide and a Bonus Chapter, enjoy! Rated 5 out of 5 by smilingsun72 from A Celtic celebration and story brought to life! (SE) Being Autumn nostalgia set in and tradition. Samhain (Sawwin) came to mind. I've always liked the Hallowed Legend series. This game has beautiful graphics, great music and challenging puzzles. This story is fantastic. It captures some the aspect of the Celtic Samhain with a twist of modernness. There is no map but the areas are the perfect size not to get lost in. Some times back tracking is required but not to the point of being overdone. The game might be to long for some but for me it was the right length. Rated 5 out of 5 by robotics1 from good game, good game! I got the SE as it was from the punch card but it plays like a CE - goes on and on. Great value for money (even if I had paid!). There were lots and lots of HOS and the hint button recharges fast. There were some situations where the hint sends you back and forth and you just have to use your initiative but it's not difficult. I usually regard the puzzles as an unwelcome holdup and skip when difficult - I don't welcome an IQ test in the middle of the game, but that's just me. The HOS graphics were excellent and I liked that you find something you can actually use, rather than just being a HOS for its own sake like some games. I wasn't too keen on Cernunnos being presented as a demon but hey, it's a game - and a good one. Rated 5 out of 5 by CourageAngel from Find the truth! Great Game! I really enjoyed this game. You leave to find someone and end up in the middle of something you never expected. In your quest to find answers and save that person, you travel through many locations. The graphics are amazing. The story is incredible...I love this game! Rated 5 out of 5 by cuorips from Sick, sad, lonely game, just as I like it. Good plot, good graphics, lots of traveling around in the fog,I enjoyed it very much. It's one of the good ones ! Rated 5 out of 5 by EcoGoth from Not to bad When I first saw this, I thought "cool, a Pagan themed mystery game similar to the 'Mystery Case Files' or 'Dark Parables.'" I couldn't have been more wrong. It is insulting to Pagans/Wiccans as our God is not evil or cruel. The instructions for the mini games are borderline helpful/very vague. Need a clue button more than a solve only. The graphics were good and the cut scenes where really well done. I may be biased as I am offended by how the game ended - first time I've ever been this dissatisfied with a game from Big Fish. Rated 5 out of 5 by dianaede64 from Great Game!! I really loved this game. It was interesting and kept my attention. Scenes were great to. Great Job!! Rated 5 out of 5 by superuberchicken from Long and Fun This game was fun, long, and not too hard. 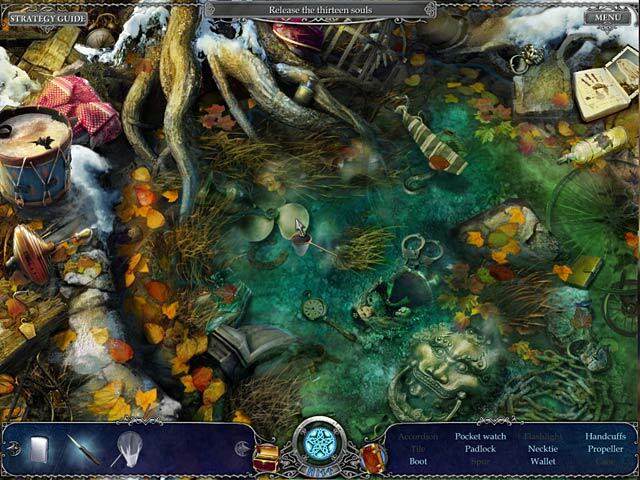 Hidden object scenes are challenging, but still manageable without using the hint. I was able to complete the game in advanced mode without using any hints or walkthroughs. It is easy to figure out each objective and find the needed objects. None of the mini-games were particularly challenging. Actually, I accidentally solved a couple of them with mindless trial-and-error clicking, without ever determining the objective of the mini-game. There were some mini-games requiring basic math, assembling fragmented pictures, remembering sequences, and ordering colored marbles. Positives: Very lengthy game. Nice visuals. 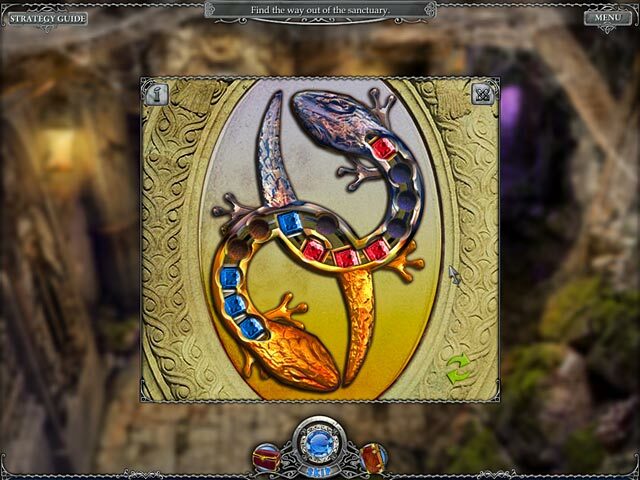 Hidden object scenes are challenging but not impossible. Variety of mini-games. Negatives: If you attempt to use the wrong item, you’ll be told what type of item is meant to be used there, which is basically an unrequested hint. Lots of walking back and forth between scenes, although not traversing the entire game each time. The game is very long, many hours. It is somewhat divided into a few separate large regions, such that when you’ve completed all the tasks in one large area, you take a journey to a new area, and you cannot go back. This is artfully done, as in the transportation needed to reach the new area is disabled upon arrival. This was convenient for such a large game, and I appreciate that it was worked into the story rather than displaying a message like “Location Complete.” That said, there is a fair bit of walking back-and-forth and back-and-forth within each large area. Overall, the game is not as long or rich as Return to Ravenhurst, but you still get much more game for your money here than you do on the average HO game.